Hunter combines 19th century craftsmanship with 21st century design and technology to create ceiling fans of unmatched quality, style, and whisper-quiet performance. The 52 in. Princeton ceiling fan is no exception. The Princeton has a beautiful Bronze Patina finish and 5 Walnut Plywood blades that are sure to match most decors. The WhisperWind motor delivers ultra-powerful air movement with whisper-quiet performance so you get the cooling power you want without the noise you dont using the finest materials to create stylish designs, Hunter ceiling fans work beautifully in todays homes and can save up to 47% on cooling costs. 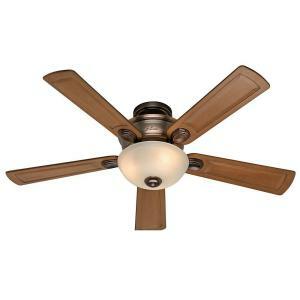 Tbook.com crawls the web to find the best prices and availability on Hunter Fanss and related Tools and Hardware products like Hunter Princeton 52 inch Bronze Patina Indoor Ceiling Fan. For this page, related items include products we find that match the following keywords: "Hunter Fan" at our vendor partner Home Depot. Hunter Princeton 52 inch Bronze Patina Indoor Ceiling Fan is one of 151 Hunter Fanss and related products listed in the Tools and Hardware section of Tbook.com If you have any questions on this product, please give us a call at 734-971-1210 during the hours of 9am - 5pm EST for assistance. Thank you for shopping at Tbook.com, the Internet Department Store!